Anybody who follows my political commentary is keenly aware that I like to zero in on the negative consequences of capitalism, particularly as it relates to the elevation in social status of the rich and the frequent marginalization of those who are unable to breach the division of the classes. Such disparate classes, and the perpetuation of poverty are unacceptable consequence of capitalism, particularly when you consider that capitalism is a means by which poverty can be alleviated. However, I don't feel that there is anything particularly wrong with wealth or capitalism, in and of themselves. Like any tool, there are responsible and irresponsible ways to wield personal control of money. That said, I disagree with Venezuelan president Hugo Chavez's recent proclaimation that "the rich are not human, they are animals in human form." "(...) a rich man to the Kingdom", because being rich is bad. Being rich in... to accumulate wealth, and lands... Behold, I'm the Lord of the Prairie... you are poor... imbecile! What's more, you're not a man, you're not human; the rich is not human. I say it, and I take responsability for it, the rich is not human, it's an animal, in human form. It's an animal, in human form. 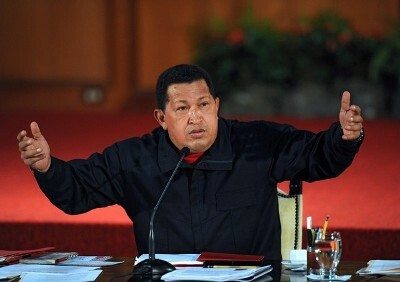 Now, if a rich man... comes forth and says "Chavez is offending me", well... ok... Feel offended. The translation is rough, but it's clear. When a national leader dehumanizes a segment of the population, he only continues to solidify his intentions. Between this, his move towards removal of term limits, and his branding of "traitor" on anyone who disagrees with him... these are the signs of a coming dictatorship. This is a problem. So your beef is with the people who abuse capitalism not capitalism itself? Just wondering. I can't think of a better system than capitalism. There are always going to be top enders that create ceilings for others, but by and large our country has the high standard of living it does because of capitalism. I for one, am grateful for that. Luke - I love capitalism. LOVE it. I'm very grateful for it. But I think that any system that lets people have power, it has to be criticized and analyzed in order to keep the powers-that-be in check. TCM - I read that on your site a while back. I like it, really.